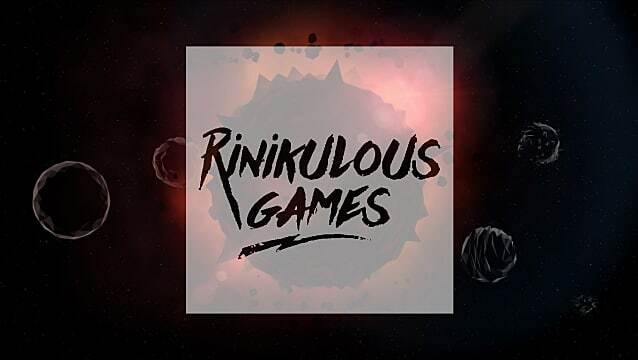 Game developer, director, and artist Nik Mihaylov broke into the game industry with Steven Ritchie to establish an indie game studio called Rinikulous Games. Together, these co-founders explored amazing ideas that would create compelling experiences -- and got their feet wet with their first indie game, Lonely Sun. 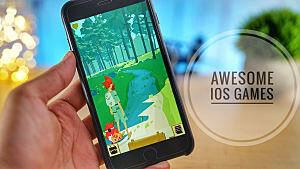 This mobile platformer caught the attention of reviewers and critics -- including a writer here at GameSkinny, who gave it a stellar nine out of ten. 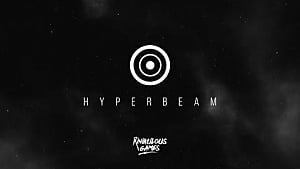 Now they're looking forward to adding even more games to their portfolio, and I got the chance to talk to Nik Mihaylov about his role as a developer -- as well as the state of development on two of Rinikulous' upcoming titles, Hyper Beam and Unlonely. As a developer, Mihaylov tackles a lot of new ideas and inspirations, especially when designing a new game. When considering a potential idea, he tries to realistically analyze how a game will perform in the indie sphere. Mihaylov asks himself a series of questions that help him consider the gamer’s experience and the game's potential mechanics. 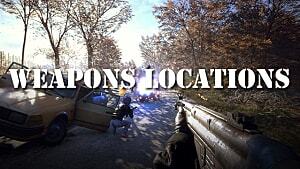 During his first foray into development with Lonely Sun, Mihaylov and his team learned everything as they went. He soon realized that making video games had a lot in common with what he does as a Senior Creator over at Critical Mass (a digital design agency). 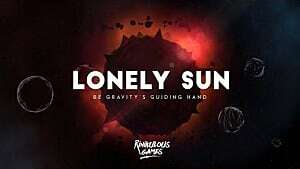 NM: "...while testing the controls (controlling gravity as main mechanic), I further realized that Lonely Sun won’t be an easy game or be to everyone’s taste, and I was totally okay with that. The game’s difficult on purpose. Nothing in life comes easy – if it does, there’s something wrong. Moreover, there are no checkpoints in life, hence none in the game..."
Mihaylov also applies this metaphor to his own work. He tries to tackle each task as a challenge by taking it one step at a time. Whenever he faces an obstacle, he always reminds himself about the big picture and uses that as motivation to push forward on a project. This concept later became a central part of his future works. After developing Lonely Sun, Ritchie and Mihaylov decided to come to back to an old project called "Quantum". 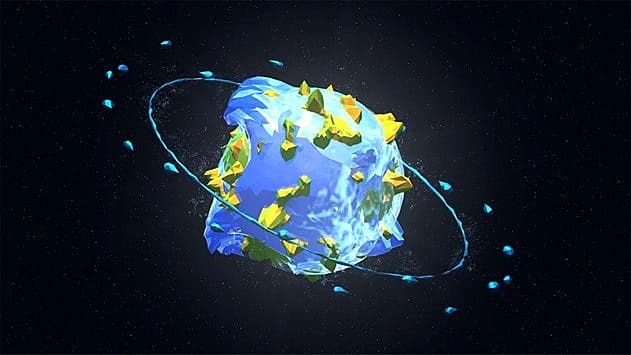 Both creators planned and brainstormed ideas on art concepts and game mechanics, eventually progressing toward smaller details like the enemy behaviors and beam designs -- which is how they settled on Hyper Beam's abstract space setting. 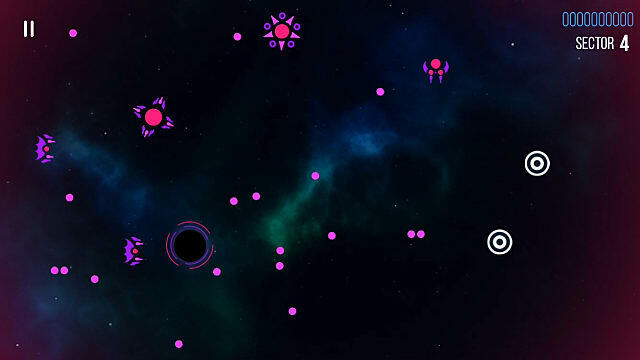 Unlike Lonely Sun, Hyper Beam focuses solely on gameplay with minimalist approach to AI interaction, user experience, and visual effects. The purpose of the game is for the players to discover, develop, and adapt. This iOS space game contains two twin stick controls, which players can manipulate around to destroy enemies. The goal is to survive as long as possible through dodging, destroying, and getting hyper. As the player progresses, game increases in difficulty. NM: "HYPER BEAM's twin-stick controls, the constraints of (limited) screen space, complimentary music and sound effects, minimal art direction, and enemy and beam behaviors all create an unique experience that puts the player in a position to embrace the inevitable nature of survival." 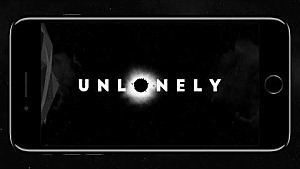 Because of the Lonely Sun's success, Rinikulous Games opted to give it a sequel called Unlonely. Mihaylov wanted to use this project as a show of his gratitude for those who provided so much support for his first game. So he created parts of Unlonely in collaboration with six game review sites who covered his original project --Snappzilla, iFanzine, IndieHangover, Indie Game Launchpad, Orange Bison, and our very own GameSkinny. 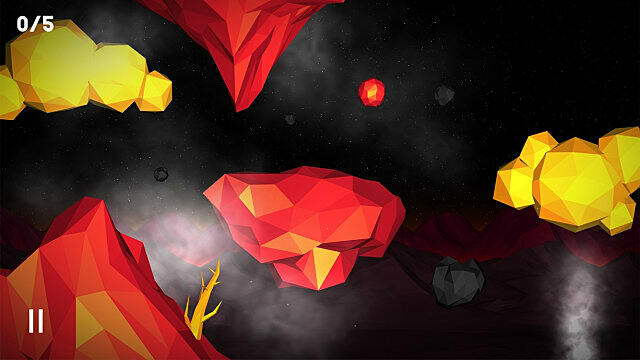 The game will include planets and levels based on the personality, atmosphere, and brand of each website. 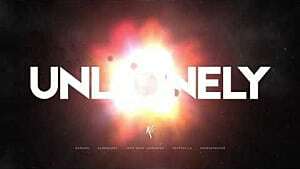 NM: "As of this moment, Unlonely will retain Lonely Sun’s overall low poly art direction, minimal UI and gameplay mechanics (with a few surprises, though), [while] feature brand new music/atmospheric and SFX design to match the overall vibe of each level. 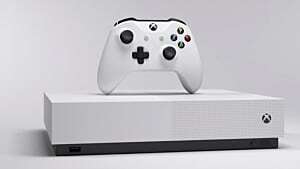 [It will] have a more diverse and visually appealing level design and camera movements and be a tiny bit easier in terms of gameplay difficulty than Lonely Sun." Like any idea-rittled game dev, Mihaylov has lots of other ideas and concepts for new games -- especially some that focus on story-driven gameplay. But for now, he's focusing on Hyper Beam and Unlonely before he starts moving on to other things. Mihaylov's venture into the gaming industry was met with lots of support and positive feedback, which has left him feeling accomplished and successful. NM: "To be completely honest, I wouldn’t call myself successful in what people in this industry may call successful. However, I am grateful for the numerous friends I’ve made and positive feedback we’ve received so far – this is success to me." When we asked Mihaylov for advice he'd like to share with aspiring game developers, he offered a few pointers about how to work well in the gaming industry -- mostly that it requires the persistence to continually reach out to the community and persevere through failed concepts and ideas before giving up on a project. But most of all, he emphasized the importance of respecting everyone in the industry you share with them -- even if they're critics who disagree with you or what you're doing. Everyone has different preferences, and it's impossible to please them all. But by staying true to himself, Mihaylov has learned to push forward and continue making games like Hyper Beam and Unlonely come to life. Mihaylov has a passion for games that makes his work unique and immersive. And his fans can continue to look forward to what he and the whole team at Rinikulous Games is going to bring to the community in the future. I would like to thank Nik Mihaylov for taking his time to chat with us. You can keep up with his development progress by following Rinikulous Games on Twitter. If you want to try out the beta version of Hyper Beam, check out their official website for more information.